Skyborn is rated 4.7 out of 5 by 86. Rated 5 out of 5 by Lady_Ember from Nice long game Fun adventure that lasts a long time. Not real difficult but challenging enough to keep you excited to continue. Rated 5 out of 5 by CaptainAwesome23 from RPG Masterpiece :) One of my favorites. About 8 hours long. Worth every second. Rated 5 out of 5 by ErnieMinkColo from Best RPG Maker game ever, and one of the best games ever! 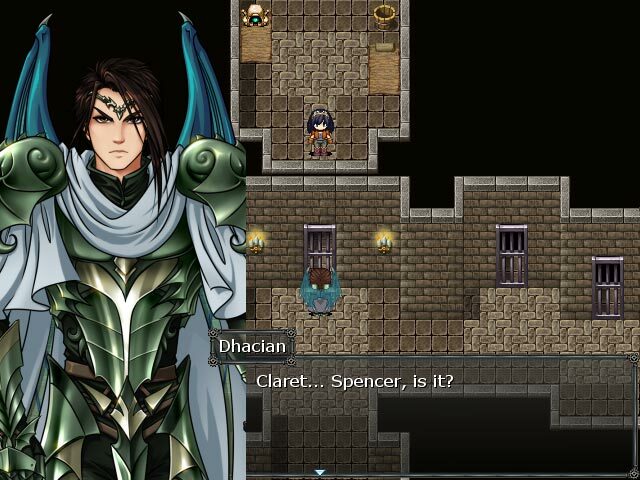 This is a MUST have for all RPG and RPG Maker fans. I played it almost nonstop until I finished, and this is something I rarely do. I loved this game that much. Not too easy, not too hard. great graphics, gameplay, sound and music, story and characters. I cannot recommend this game enough. Rated 5 out of 5 by dinguskhan65 from Great Adventure! Amidst all the titles available I happened across this one. Read the reviews first then did the hour trial and I was hooked. I usually don't play these type of games but really enjoyed the story and the music. I played through the story line twice and changed up the character's available strengths. Will probably play it again since the battles can change with how your characters progress and what you design them to be good at. Rated 5 out of 5 by Milonar from Hey! This is a great RPG, alright? This game has been sitting in my computer for a long time. Now, I finally have time to try it It's difficult to stop playing it. The more you learn about the story, the more you want to continue to find an answer or a solution. The characters are unique and full of surprise. I have read all the reviews, and there are some ridiculous negative thoguhts. Most of them complains there are too many dialogs. Hey, let me tell you. THIS IS A RPG GAME! You have to expect story dialogs! I bet these people never play a true RPG before! A RPG without story dialogs won't be considered a RPG. What I like most is Skyborn story. The gameplay is easy for everyone to play, even young children. Battles and quests are not too hard, but you will enjoy it. And of course, RPGs can't miss without venturing deep inside dungeons. You will be able to visit many kinds of dungeons, solve few simple puzzles. It's quite enjoyable. 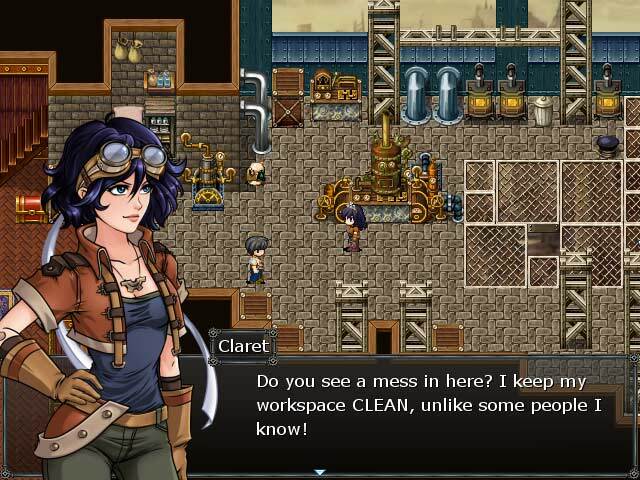 Skyborn graphics and sountracks are not really impressive, but it's quite good for a RPG game which is created on RPG XP maker. The designers have done their best to design this game. You should try Skyborn on your freetime. Good to reduce stress. 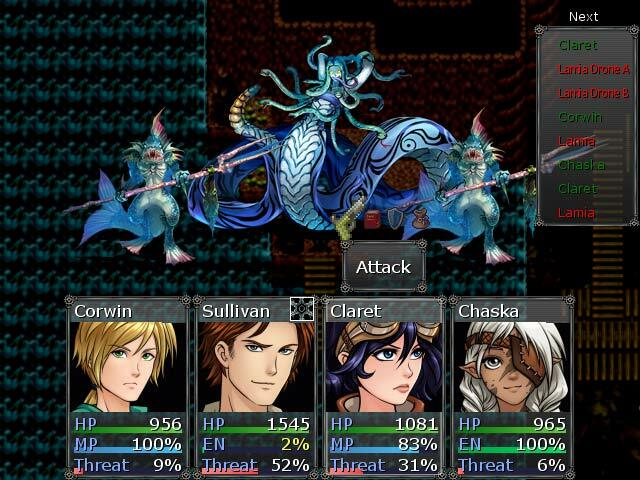 Rated 5 out of 5 by sothimk from This is a terrific RPG Let me address the length of the game. Some reviewers feel that it is too short. 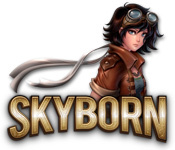 While it is true that this game takes fewer hours to play than many RPGs, the reason is that Skyborn eliminates two annoying time wasters so common to other RPGs. First, the game is paced so that you don't have to spend countless hours playing the same area over and over and over again simply to level up your characters. In most RPGs, I spend up to half my playing time enduring the mind numbing boredom of replaying the same area. Second, the game does away with secret rooms. Without them, you don't have to waste hours touching every single pixel in the game looking for secret entrances. Perhaps, that is a problem for some advanced players, but this intermediate player did not miss the tediousness of having to touch everything on every screen in the game. Aside from that, the game was fun and challenging. The only blemish for me was a little too much dialogue. Rated 5 out of 5 by defenses from short the game was very well designed but it was to short hopefully they make another on like it love the characters they got there own personality and story good game. Rated 5 out of 5 by dempugs from GREAT RPG My family (sons, grandsons and me) have been playing RPG's since the beginning. It is so wonderful to see a beautifully crafted one in this day and age. I thought they were gone for good, but I was wrong. Will seek and find everything made by this company/developer. Gets my highest reviews although much shorter than the old school RPG's but no less beautiful or well crafted. The music is up to par too. It is approx 15hrs if you do about 1/2 the side quests. Short, but going back to do all the side quests and enjoy it again. We need more Role Playing Games, Bigfish, are you listening? One hint for inexperienced RPGers, build your levels by fighting everything in site. Rated 5 out of 5 by amurphy595 from fun adventure game Great plot and good graphics. I played the easy mode but you have a choice. Multiple items, weapons and armour- lots of choices. Rated 5 out of 5 by Intellife from Great adventure! Long enough to be a good buy, but didn't stretch on forever with never ending quests and side-quests. Great storyline that gave a purpose to the adventure. Re-play value also.